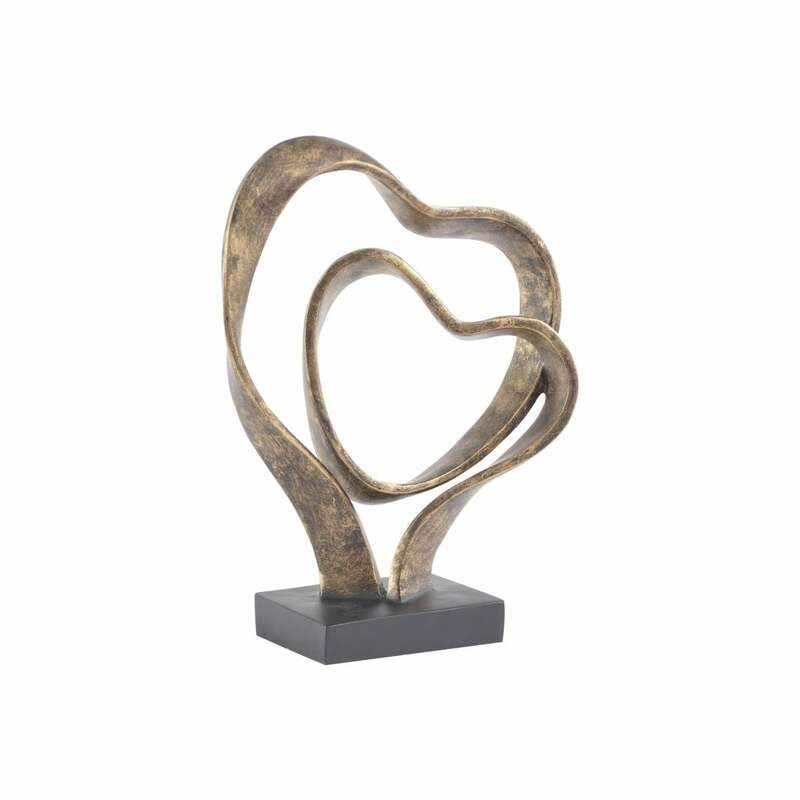 Lovingly entwined together this Heart Sculpture represents eternity. 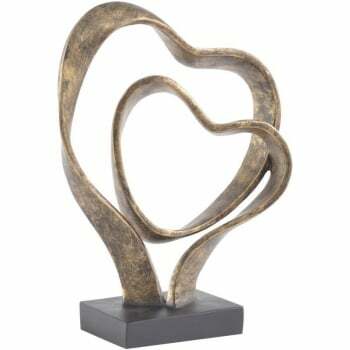 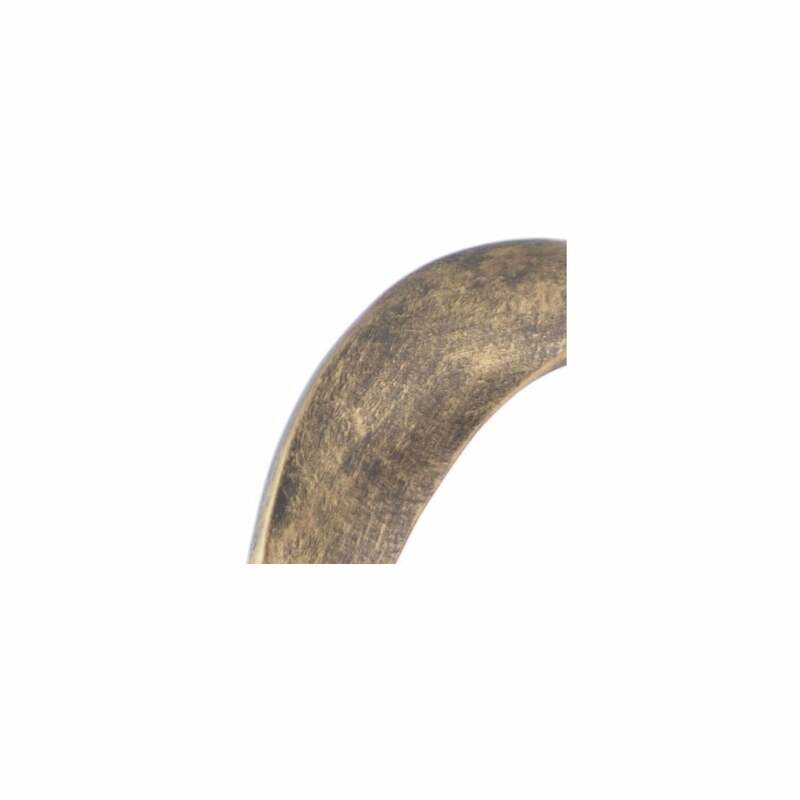 It is the ideal Bronze Sculpture for placing among books and on tables. 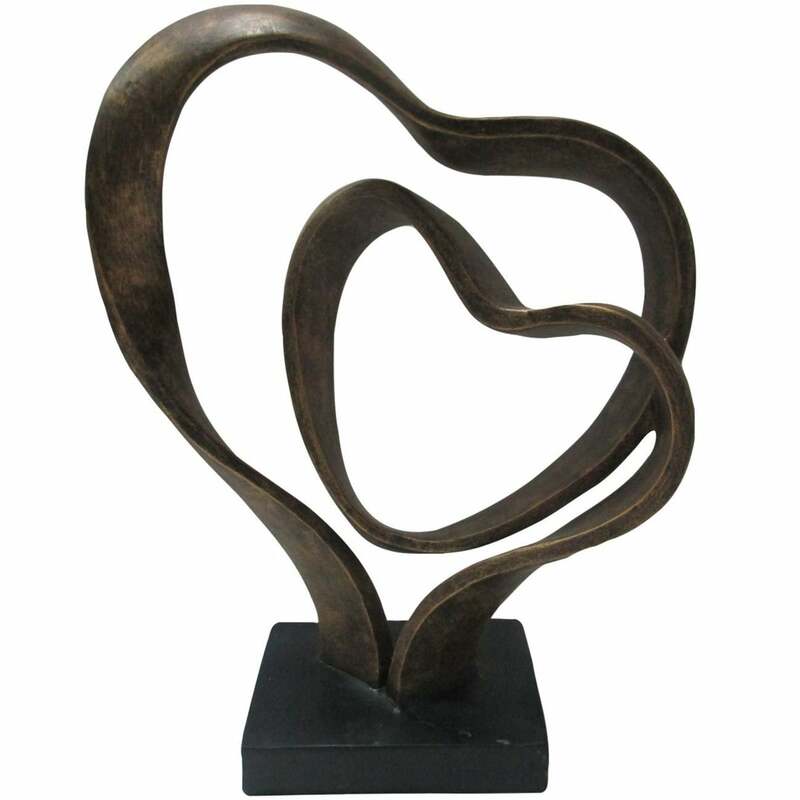 A gorgeous heart shapes that stem from the centre of the black marble effect stand and smokes itself around back to the base. 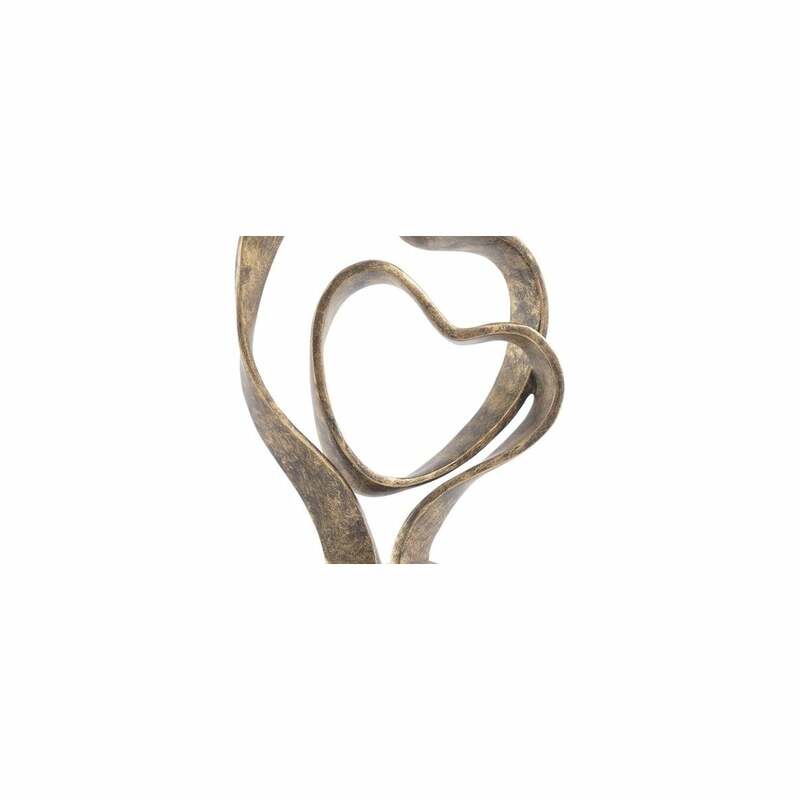 What a great anniversary or wedding gift.